FHA insured mortgage loans are some of the most popular home loans for a variety of reasons, especially for first time home buyers. Most loans use a method of analyzing credit called credit scoring in the underwriting process. Studies have demonstrated a direct relationship between low credit scores and higher mortgage delinquency rates. As a result many lenders have established minimum credit scores at which they will accept loans. A lack of credit, old delinquencies, late payments, foreclosures, bankruptcies, or simple incorrect information on the credit report can cause a low credit score. FHA does not have specific credit score requirement, with a big down payment, But FHA does require at least a 580 score to have a loan with less than 10% down payment. FHA doesn't actual provide loans. Lenders do. FHA issues insurance backed by the Federal Government. This insurance protects the lender from losses suffered if the loan goes into foreclosure. Because of this additional insurance, lenders are more willing to lend. 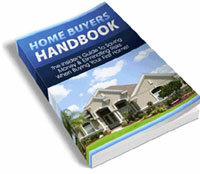 BUT, lenders can still require their own additional requirements. FHA is NOT a bad credit program. The underwriter on an FHA loan will review the credit and payment history of a customer concentrating on the most recent 12 to 24 months. If the customer has had a good payment record over the past 12 to 24 months they can often get approved for a mortgage even when Conventional financing has turned them down. An experienced loan officer can help the customer clearly tell their story and will often make suggestions as to how to make the file more acceptable to FHA. In today's market, there are many homes in need of a little tender loving care. FHA has a rehab program for fixer uppers, know as the FHA 203k loan. This program provides you the money to buy the house, and get additional money to bring the house up to code, or fix the items that need repair. New roof, carpet, paint, plumbing, appliances, to even repairing wells and septic systems. The program is very detailed - so be sure to work with an FHA 203k specialist like the ones at Mortgages Unlimited to make sure your rehab project goes off without a hitch. Call today for more information. For existing FHA loans, you can refinance without an appraisal, making the streamline refinance available even to those who may have lost value, or are actually underwater on their loan.